Pasarel - Antique Chinese Ceramic Ginger Jar, China, Ca 1900. Antique Chinese Ceramic Ginger Jar, China, Ca 1900. 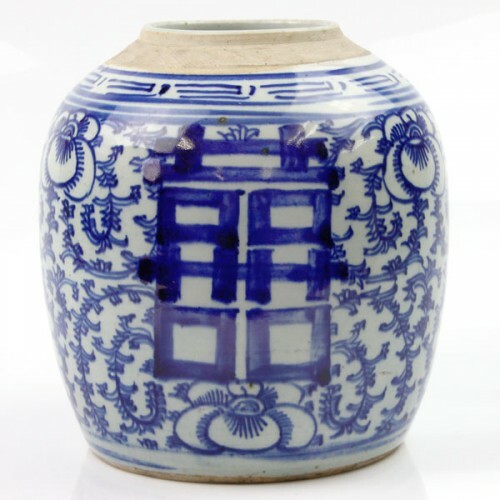 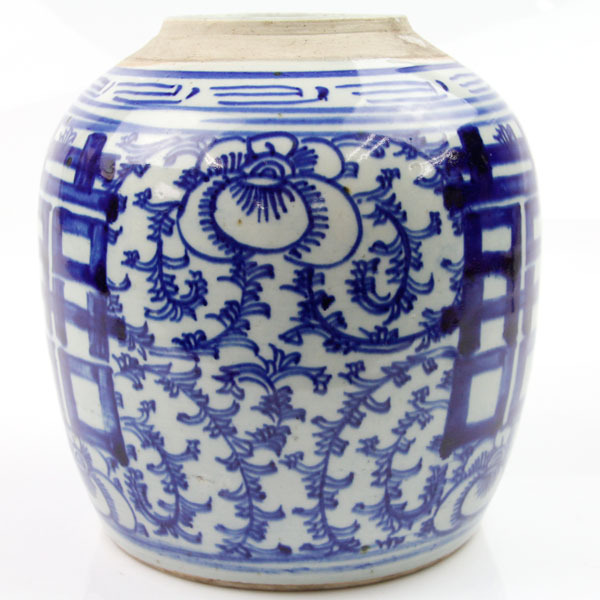 The jar is decorated with under glazed hand painted blue Chinese ornaments. Very good, missing the lid. 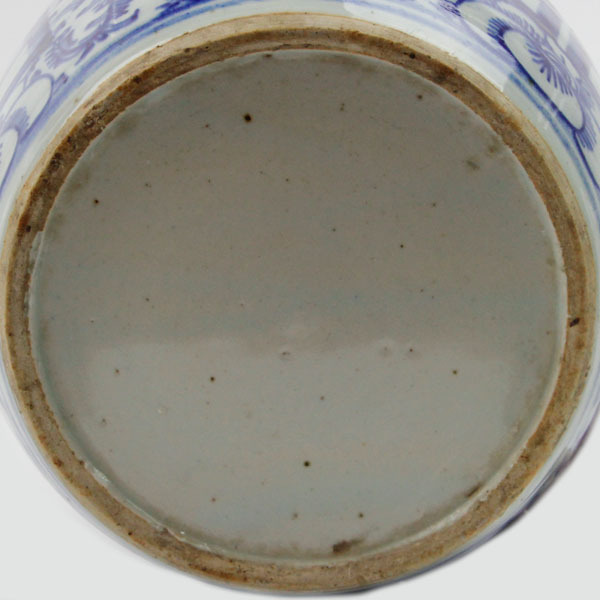 Height – 23cm / 9in. 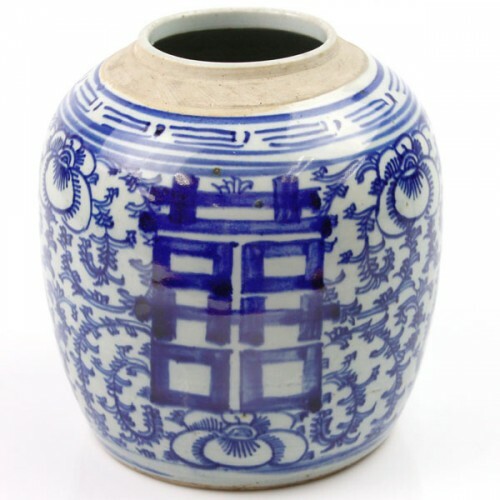 Base diameter – 16.5cm / 6.5in.